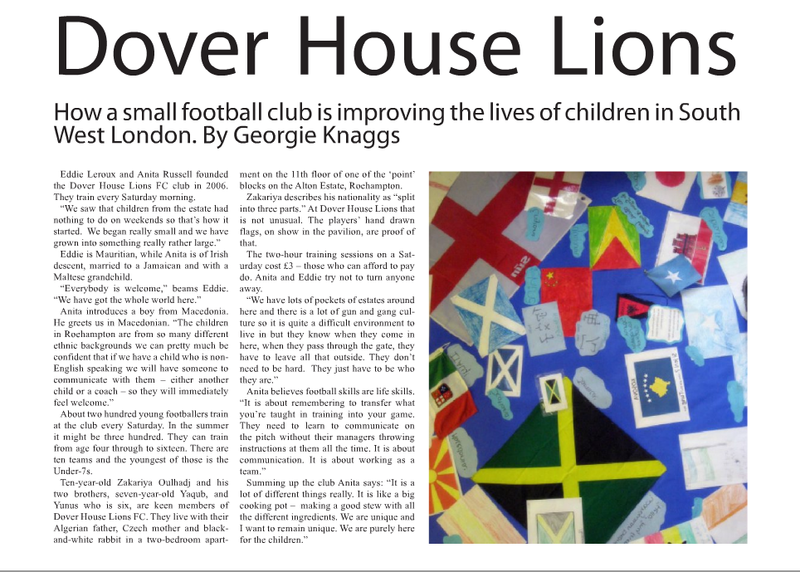 This entry was posted in London, Published, sport, The New Londoners, The UK and tagged Anita Russell, Dover House Lions, Eddie Leroux, football club, London, Roehampton. Bookmark the permalink. What a wonderful article about an excellent initiative. Thank you for sharing! My pleasure! I was so impressed at the time, and am so pleased to hear that they are doing so well today.